A non-profit 501(C)(3) organization, HealthMPowers was founded in 1999 to promote healthy eating and physical activity in schools using the evidence-based guidelines established by the CDC. Though child obesity is a critical issue in Georgia and the nation at large, there are few organizations providing in-school services and training to reach this core audience. Providing schools with the opportunity and resources to get students active is an important part of changing the culture. 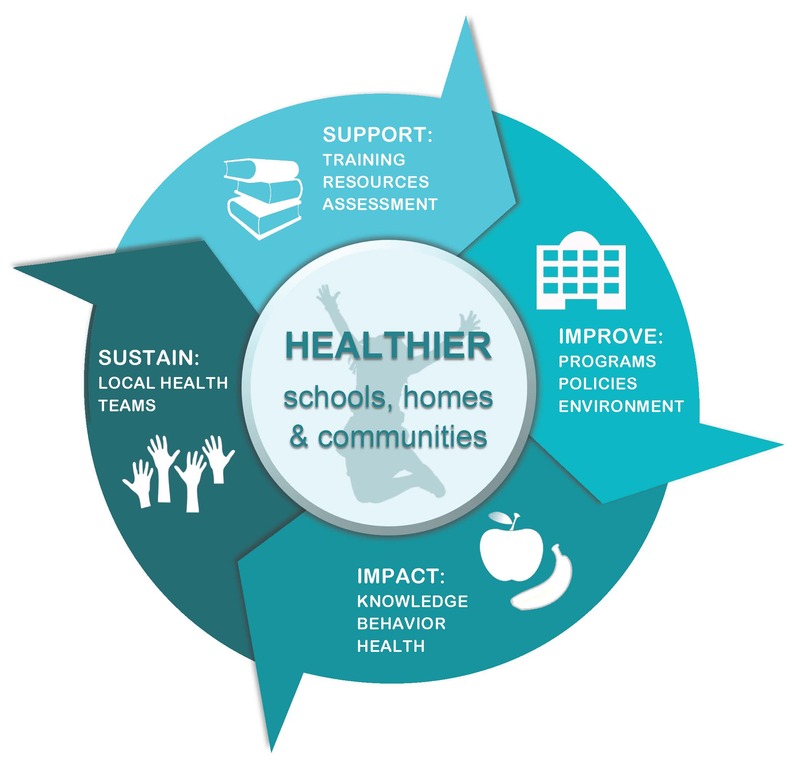 As an evidence-based public health program, HealthMPowers has established a proven track record over the past decade of improving student health knowledge, behavior, physical activity and school policies—without taking away valuable class time. The HealthMPowers program is a three-year, school-wide intervention that includes trainings, direct services and resource materials that are presented in a memorable and interactive format to promote healthy behaviors and environments in schools. The innovative program model improves student fitness, health knowledge and behaviors, while providing teachers and staff with the training and resources necessary to continue sustainable improvements on their own. In addition to our three-year program, HealthMPowers also offers a variety of stand-alone resources and teaching aids correlated to Core Curriculum Georgia Performance Standards to easily integrate additional health education and physical activity in the classroom. As a training partner for the Georgia Department of Education, Georgia Department of Public Health, Georgia SHAPE, Alliance for Healthier Generations and the Power Up for 30 program, HealthMPowers also provides a variety of trainings and webinars for classroom teachers, PE teachers, staff and administrators. HealthMPowers has delivered programming to more than 200 elementary schools in Georgia, reaching more than 150,000 students, their school staff and families. They have expanded service from eight schools in 2002-03 to 90 schools in 28 districts in 2011-12, reaching 57,457 students along with their school staff and families in the past year. Services are provided to schools in urban, suburban and rural suburban communities with populations across all socioeconomic levels. The average free and reduced lunch rate is 78%, indicating that a large portion of the schools serve poor and vulnerable students. In addition to standard program delivery, in 2011-2012, HealthMPowers developed curriculum and provided professional trainings to more than 3,000 teachers representing 2,000+ schools across Georgia as the training partner for the Georgia Student Health and Physical Education (SHAPE) initiative. The training provided instruction on conducting Fitnessgram, the statewide standardized health-related fitness program now required and monitored by the Georgia Department of Education. Our Mission: To empower healthy habits and transform environments where children live, learn and play.